A 3 Step Body Cleanse can help you reset your body and recharge your health, improve digestion and speed metabolism. Many people use diet and exercise to recover from disease or to reduce the risk of getting disease in the first place. And we all know that weight loss begins in the kitchen. Our health goals have a greater chance of success when use the right eating program. In fact, some evidence shows that a certain diet and possibly even some supplements (often used during a body cleanse) can help you shed excess, and sometimes dangerous body fat while reducing risk for deadly disease. So, how is this possible? The surface fat that is easily seen on our thighs, tummy, arms and elsewhere is called subcutaneous fat. This is fat that is located just under the skin, and can hide the muscles, creating a spongy look. Most people have both types of fat. As said, we need the visceral fat to protect our organs. You wouldn't survive long without it. The subcutaneous fat provides warmth and shape. It pads our nerves, tendons and even blood vessels and provides energy. But, in both cases, too much is not a good thing. Too much fat can be unsightly and uncomfortable, and it can also be a danger signal. When excess fat is stored around the abdomen, it is an indication that excessive fat is also stored around your organs. This can be dangerous as the fat restricts blood, oxygen and the nutrient supply to these organs as well as restricting the organ's ability to fully function. Fat is known to be "biologically active," meaning it does not just sit there. Adipocytes (fat cells) pump out immune system chemicals that raise the risk of cardiovascular disease. Visceral fat is located in the midsection, which is close to the portal vein that carries blood and waste from the intestinal tract to the liver. This close proximity allows the same vein to carry dangerous free fatty acids that can elevate harmful cholesterol, lower healthy cholesterol, and raise the risk of not only heart disease, but also the risk of diabetes and other health problems including stroke and even cancer. The good news is that we can do something about it. We can control our health with diet and exercise used during a 3 Step Body Cleanse. Some foods and supplements are proven to help reduce harmful cholesterol and reduce risk for heart disease. We all know that certain diets can help us lose weight. A cleanse is simply learning to use food and supplements to our advantage to expedite our desired results. This body cleanse is broken down into three steps, making it easier for people to put together their own program, which makes sense as we are all at different places on our path to health. But each step is actually done simultaneously alongside the others. 3 Step Body Cleanse - What are the Steps? Step 1 - Diet: Eat a "cleansing diet" that is designed to help your body digest food quickly. When your body can digest food quickly, it can then eliminate more waste, more efficiently. This is the basis of a body cleanse. An easy and basic summary of a cleansing diet would be to focus mainly on fresh, organic vegetables and fruits. Eat only whole, unprocessed grains (which means no processed products like bread, cereals, etc. ), and healthy proteins such as wild-caught fish, farm fresh eggs, beans, lentils and minimal free-range meats (including poultry). Step 2 - Supplements: Along with the body cleansing diet, supplements may be beneficial. The supplements include herbs that some holistic practitioners say strengthen your digestive tract, such as dandelion root or milk thistle and, of course, a healthy fiber supplement. Step 3 - Exercise:. Fast walking is good if you can walk fast enough to raise your heart rate to achieve a moderate intensity. Other exercises include jogging, rebounding, spinning (stationary cycling), cardio dancing, stair climbing and elliptical workouts. Many of these can be done at home, outside or at a local gym. Using music can help make it fun while many gyms come equipped with televisions for those who prefer that to pass the time. The key is consistency. Try working out at least five days per week. Take your supplements every day at the same time so you remember. And stick to the "detox diet" as often as you can, and if you slip, forgive yourself (you are human, after all) and get right back to it. A 3 step body cleanse begins with a detox diet. This is a way of eating that allows our bodies to quickly digest food, reduce the “burden” on our digestive tract, and supply nutrients and energy as food was intended to do. The problem with some detox or clean-eating diets is that they give the impression of all or nothing while others might assume you eat meat or are vegetarian. But while eating is important, following any of these strictly is not as important as you might think. As you embark on a clean-eating diet, your body will begin to go through changes. With less fats, salts and sugars from unhealthy or junk foods, your body will begin to use the extra digestive energy to remove old, built-up waste (sometimes in the form of excess waste) and remove that. This process is how your body naturally cleanses itself. A better choice would be to replace light baloney with real meat such as chicken or turkey breast, lean, grass-fed beef, eggs or fish. Even if your goal is to go vegetarian one day, replacing highly processed foods with real foods will help you make steps toward your goal. Cleansing is a process the body goes through, and the way we eat can stimulate or stump the process. But because we each begin with different diets, making diet exchanges, such as processed proteins for real proteins, will lead our bodies to cleanse. Other diet choices to get your body to cleanse away the waste is to substitute cow's milk products for dairy-free whenever possible, or replace chips and other snack foods with thinly sliced carrots or celery stalks. Even if you add a hummus dip, it's better than oily chips and a dip that is 100% fat. Supplements for a 3 Step Body Cleanse include anything with fiber and herbs that help your body remove excess waste. Fiber is the broom that “sweeps” your intestinal tract while herbs are the condensed nutrition that can help support your organs while providing extra energy. Soluble and Insoluble fiber – Soluble simply means it blends with water in your digestive tract to form a gel-like substance while insoluble fiber keeps it's consistency. Think of supplements like “Benefiber” that are clear; they contain no actual “fibers” that you can see. These fibers may help reduce bad cholesterol and keep gut bacteria in check. On the other hand, psyllium, the fiber found in cleansing supplements like Herbal Fiberblend or Metamucil, you can see the fibers; these are what actually “sweeps” your intestinal tract, helps you feel full and can even feed the good bacteria in your digestive tract. This does not mean insoluble fiber is invaluable, because it is. But for cleansing the body, soluble is more effective. Fermentable and Non-Fermentable Fiber – Fermentable fiber feeds the bacteria in your intestinal tract (also called the “gut” by some), and also produces a chemical reaction that reduces internal inflammation; which can be a factor in many chronic digestive issues. But – sometimes as one is doing a body cleanse, side-effects such as gas and bloating are “normal” because the fiber and body are stripping away old waste to remove it. The mere act of this process and the transport of this waste through the digestive tract on its way out can cause this to happen; it may be no more avoidable than having to go through uncomfortable exercise to get the muscles in shape. So, these side-effects, within reason, may not always be a negative characteristic of fiber. The rest of the supplements used are often various herbs that support organ function. The organs that need this extra nutrition include organs that help your body cleanse and detoxify such as the liver, kidneys and intestines. Some 3 step body cleanse programs encourage cleansing each of these organs and systems separately. One program may focus on the kidneys and circulatory system, while another focuses on the liver. A colon cleanse is the best place to begin, since no matter which system you focus on, waste will eventually pass through this system. Therefore ensuring it is in-check can help you avoid issues or problems that may be associated with detoxification or cleansing. Exercise is the third step of a 3 step body cleanse. The trick here is to not overdo it. Too much exercise, especially weight training or lifting, can actually create metabolic toxins that feed back into your circulatory system and lymphatic system. During a body cleanse, opt for lighter work out that get the circulatory system moving. These include cardio exercises such as walking, which pumps not only your blood, but your lymphatic system. This can actually expedite your cleanse! Rebounding is another exercise that help your body cleanse. This is an exercise where you jump on a trampoline made for longer jumping times. These smaller, exercise trampolines are easier on your joints, so you can exercise longer. Although you don't need much of this type; studies show that just 10 minutes of jumping per day is equivalent to 30 minutes of jogging, but without the stress on the joints! Other exercises can include bicycling, yoga, stretching and rowing. Weight training can also be part of your exericse regime, and if you lighten up during your cleanse, you can increase your weights again after your cleanse. And many people find they are stronger after doing this. A 3 Step Body Cleanse can be beneficial for many health reasons. Weight loss, health recovery, resetting digestion and creating more energy are just a few goals that may be easier to reach with this type of program. The length of time you do this should last no more than four weeks, but at least three weeks for optimal results. 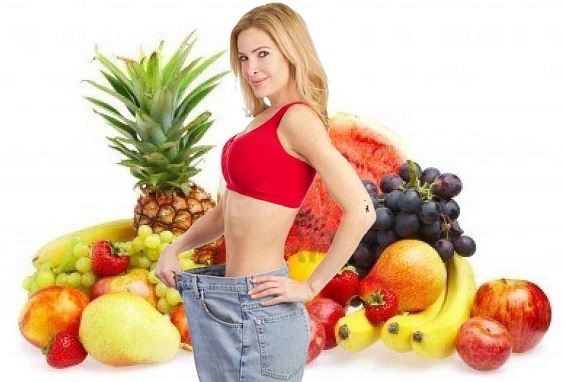 Weight Loss Tips - Easy tips to help you lose weight, the healthy way. Weight Loss Detox - Need more info? This free weight loss detox guide is a great way to help slim down, naturally.